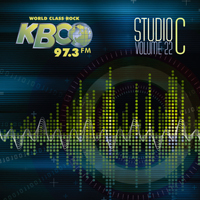 One of our local rock stations, KBCO, to which I listened for 99% of my formative years, and less so now, has over the last decade skewed in that Clear Channel way toward basic, repetitive set lists and limited DJ control, but there is one thing they still do amazingly well, and that's the annual Studio C live album. These albums have been produced for 22 years now, covering incredible, intimate live performances by popular artists in rock, blues and folk, and since KBCO can print only limited numbers, donating all the proceeds to the Boulder County AIDS Project, each release is highly sought after. The albums aren't always great, but they are usually quite solid, so this year I made the trek, with my father, to stand in line for 2 hours just to get our copies. It's something of a family tradition, and a Colorado tradition. And these albums certainly overflows with nostalgia and loving feelings from my childhood. This year, especially, the album is incredible. Though I don't often listen to One EskimO, Sarah McLachlan, Mary Chapin Carpenter or Ray LaMontagne by choice, this assembly of (not entirely) acoustic tracks is one of the most cohesive and enjoyable in recent years. I was specifically drawn to versions by Phoenix, Broken Bells and The Avett Brothers, but there's a lot of music here (20 tracks worth) and it provides a solid, delightful listening experience. And it's all live, and all recorded here in Colorado, so it has a special vibe that many compilations like this one can't offer. And there's the vulnerability implicit in small acoustic performances, which is really what makes the album for me, and has been the greater attraction behind all 22 volumes. Mistakes exist and remain and the poorly manicured vocals and moments where the listener wonders how much practice a song received prior to its playing create a different musical experience. No longer about polish, now about the rough skeleton of the song, its sinewy musculature visible without the skin afforded it by production. It's a beautiful thing. The album opens with The Doobie Brothers and brilliant slide guitar work. The musicianship is impressive, and while KBCO's Studio C has improved in size and capacity (originally being only a hallway in which Melissa Etheridge played) it is still only a space to capture these moments. So, guess what, The Doobie Brothers are great. The vocals are harsh and imperfect, but the music is impeccable. One EskimO plays a version of "Kandi" (from their debut EP) including the Candi Staton sample of "He Called Me Baby" and it works. Then there's an appearance by Jack Johnson, who never wows me, but is a damn fine acoustic musician and a fun, loving, thoughtful songwriter. Here he plays "Better Together" with backing vocals that are breathy and sweet. And Sarah McLachlan, who made me forget her musical aptitude with the ASPCA commercials, does a beautiful, delicate and lusty version of "Loving You is Easy." It's the Phoenix cover that first piques my indie interest. They do "1901" and it's just quick drums and a guitar or two. And the vocals are slowed slightly, but it's very solid, taking more from Thomas Mars' vocals and their whiny vulnerability. Goo Goo Dolls surprise on "Home" with a song that feels mature and sincere without doing that Meg-Ryan-doing-hey-mom-no-hands-on-her-bike-with-angel-Nicolas-Cage thing. It's a great song, not spectacular, but it has a bit more darkness, and not in that emo drugs v. love way. But it's "Beg Steal or Borrow" by Ray LaMontagne and the Pariah Dogs that really opens my eyes. I never much cared for his music, but this version, this world weary, broken track at least forces me to reconsider. It feels like a Neil Young meets Crosby, Stills and Nash moment (but not one that results in CSNY specifically, if that makes sense). Broken Bells doing a pared down, live "The High Road" is just perfect. No need to say more. Following that is Corinne Bailey Rae, who once wowed me with "Put Your Records On" (and the fact that she's gorgeous) brings a funky, dance-ready track called "The Blackest Lily" that shows her growth from that early folk enterprise into something lustier, and denser. Big Head Todd and the Monsters is here, and it's an okay track. It does the guitar, strained vocals, harmonica thing, and it's not spectacular. I feel similarly about the Jay Farrar and Ben Gibbard compilation "These Roads Don't Move." It's a better song, and a sweet one, but it feels familiar in a more stale way than a nostalgic one. And maybe it's just a mixing issue here, or album arrangement issue, but O.A.R. follows with "Shattered (Turn the Car Around)" which is a bland U2ish pop track that doesn't challenge the ear because there's not much to it. At least with some of the other bands above, there was a special quality, but this track just feels like it's following the formula. It succeeds in being catchy, but I wouldn't find myself compelled to listen to it over and again. Natalie Merchant provides a hauntingly sparse version of "The Man in the Wilderness." It's good storytelling and spooky. Martin Sexton, too provides a unique voice both due to his actual voice and how he seems to be genuinely having fun. It's not my favorite song, but it stands out and has a great riff. Then it's The Avett Brothers, who always make me think of specific people, and feel a certain sadness that is tempered with philosophical peace. These are great musicians and songwriters, and that translates to a live situation perfectly. "Oh Brooklyn, Brooklyn take me in/ Are you aware the shape I'm in? "Chapin Carpenter song, a decent new country track, with a bit of poetry to it, and Jakob Dylan doing a pretty job with "Nothing But the Whole Wide World." It's the two closers that are very interesting. First, it's John Hiatt (sounding as strained and tired as one could imagine) with Lyle Lovett doing "Thing Called Love," a song first made famous by Bonnie Raitt. It's true to form, but a bit odd. Yet, still, as covers go it is enjoyable. And the final track, Moby doing "Pale Horses" acoustic. And Moby actually sings pretty well. The bottom line is that this year's disk is one of the best and most enjoyable I've heard in a few years. And while the mix could have incorporated a little more creativity to avoid lulls, this is a great disk. The bad news is that they sold out the day they were released, so reviewing it, if anyone now wants one, is a bit of a tease. At least this year has a healthier dose of indie representation done very well. The Walking Dead - "Wildfire" & "TS-19"